The First Coast Innovator’s Gathering is a new component of the Redefining Early Stage Investments (RESI) Conference Series which was requested by the investors and strategic channel partners who routinely attend RESI. Many of these partners wanted LSN to bring the “earliest stage” companies so that they can identify them and get them on their radar screens in order to start a dialogue that can result in a future partnership. The First Coast Innovator’s Gathering focuses on tech hubs and companies from the First Coast of life sciences: DC, MD, PA, NJ, NY, RI, CT, and MA. Dozens of tech hubs will be attending RESI to take a spot in the exhibit hall and showcase the new technologies being developed at their institution or facility. This fall, RESI will expand to include the earliest stage companies from the discovery stage through venture stage: companies seeking grants, seed, angel, series A, and series B funding. This RESI event offers exhibit tables to the incubators, accelerators, tech transfer offices, university translation initiatives, hospitals, research labs and their constituents, with space for incubator members’ poster boards (5 poster boards for each tech hub). LSN’s network of early-stage global investors will have access to all the key players in one place to learn about the iterative, breakthrough, and transformative technology coming out of the First Coast region. A private equity firm headquartered in Tokyo, Japan with additional offices throughout USA and Asia. The firm has over $4B AUM and is currently making new investments from three main funds. The firm has a dedicated life science investment team and invests in venture stage companies. The firm invests in various stages, typically start-up and early stage. 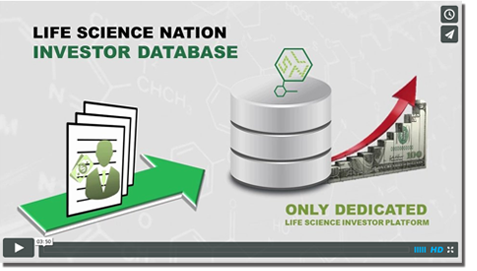 For life science companies, the firm generally allocates USD $3-5 million per round. The firm is currently focused on opportunities in the USA and Japan. The firm invests opportunistically in the life sciences. The firm seeks to invest in innovative therapeutics, diagnostics, and medical devices. For therapeutics, the firm generally invests in novel platform technologies and considers both small molecules and biologics. The firm is indication agnostic and will consider orphan diseases. The firm is also agnostic to the stage of development, but typically invests in companies with a lead asset in clinical trials. For medical devices, the firm is also opportunistic and generally invests in devices that are in the clinic. The firm generally only invests in new IP/NCEs, and does not invest in repurposed or reformulated products. The firm is currently focused on private companies in the US and Japan. The firm generally requires a seat on the board of directors or observers. A private equity firm headquartered in China with additional offices throughout China and Hong Kong provides venture capital and growth capital to growth-stage companies across various industries, including life sciences, Internet, consumables, software, and high technology sectors (i.e. drones). The firm is interested in all types of life science companies except drug development. The allocation size will vary, but the firm has the capability to allocate up to $40 million per company, depending on the opportunity. The investment is typically in form of equity, but convertible loan will be considered as well. The firm has an emphasis on technologies and products, and it is currently seeking new investment opportunities globally. Companies with a China angle will be a big plus. The firm is currently seeking to invest in medical device, diagnostics, biotech R&D services and healthcare IT sectors. The firm is very opportunistic in terms of subsectors and indications. Currently the firm will not invest in companies targeting drug development. The firm will consider companies at all stages of development, from pre-clinical stage all through to commercial stage; however, the firm prefers companies in the business proven stage, where the product is on the market and may already have customer feedback. The firm primarily invests in growth-stage private companies. The firm does not have specific requirements for companies’ management team or revenues. The firm will take a board seat post-investment.